Oil Expelling- Expeltec Plant Vegetable oil and soy beans , Cold pressed Oil Expelling Plants, Soybean Processing, Other opportunities in oil processing. 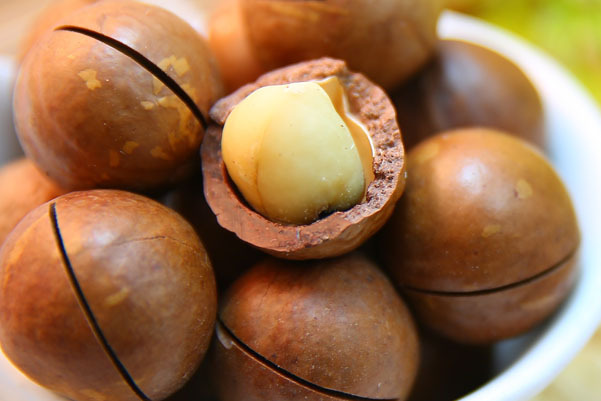 Roasting nuts – electric, diesel, gas, biomass. De-skinning and blanching roasted peanuts for snack and butter. De-skinning roasted peanuts and removal of germ. Blanching nuts for the snack market. Expelling oil mechanically from pressing grade nuts. Milling of nuts into butter. Dosing salt, sugar, spices, emulsifiers, oil etc. Intake, silo storage, soft let-down, aeration for maintaining quality. Bucket, inclined belt, air conveyors. Adding value to shells – milling, briquetting. 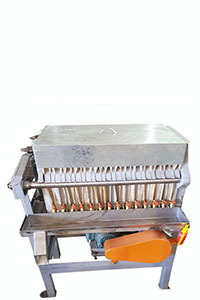 The cold pressing of vegetable oil has been proven in several countries as a viable small industry for the individual entrepreneur or company wishing to add value through vertical integration within its production or distribution chain and especially when targeting niche products. Specialty oils with high value low volume operations are especially viable for small operations due in part to the lack of interest by the large scale industry. That is not to say that plants in the capacity range of 1 to 5 tons per hour where mechanical expelling or pressing is used, is not viable in the case of the commercial seeds such as sunflower and soy beans where for instance low fat oil cake is required for the processing of animal feed or human foodstuffs. With high quality equipment and the correct pre-processing, viable yields can be obtained. The Expeltec oil expelling system is presented as a complete turnkey project in terms of plant and equipment supplied, installed and commissioned. Components may also be purchased separately so as to enable the industrialist to make up his own plant. 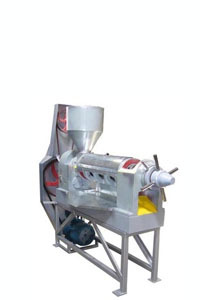 The plant in standard execution provides for extraction of oil from groundnuts and sunflower seeds, soy beans and virtually all oil bearing seeds such as jojoba, apricot kernels, peach kernels, pumpkin seeds, cotton seeds, copra, tomato seeds, castor seeds, almonds, walnuts, macadamia, pecan and virtually all seeds with relatively high oil content are possible feedstocks. The final use of such oil and the required refining to get it to a specification, are of course all individual considerations. Usually in the case of high value oils, no refining other than filtration is required by the end user or oil traders as the oil's attraction usually lies in its natural smell and taste that is concentrated when the oil is pressed. With the widespread use of biodiesel, various oils may be used that are of low value otherwise, but that may be viable for fuel. 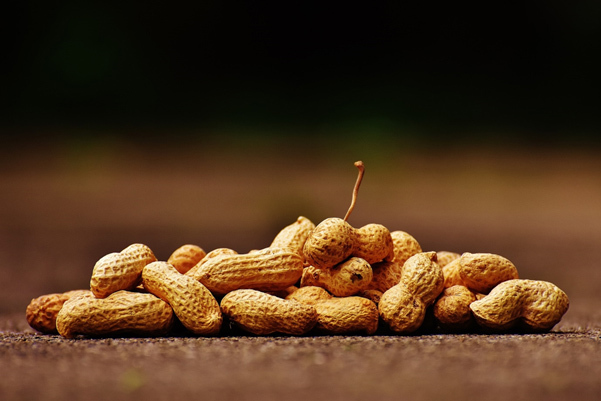 Seeds with aflatoxins that are poisonous for human and animal consumption can for instance be used for biofuel very effectively as it has no other commercial value. As such quantities are normally not that big, it can easily be mechanically pressed when the opportunity arises. The commercial growing of jatropha for biodiesel purposes requires chemical extraction to be viable in the quantities upon which these projects are based. 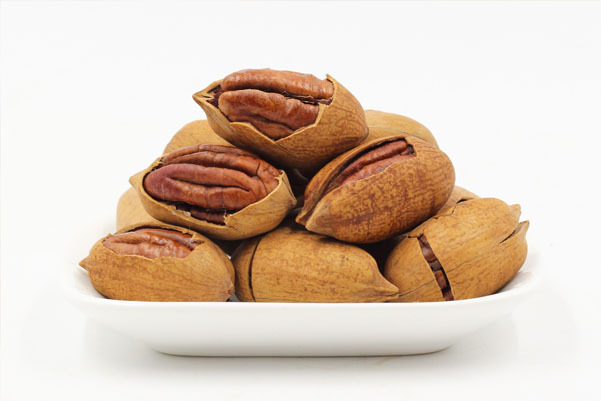 It is crucual that seeds be received correctly, dried if too wet to avoid spoiling, stored properly and aerated when required to maintain quality and finally fumigated when necessary to avoid losses and to maintain oil quality and quantity. It may also e necessary to add moisture when seeds are too dry for instance. This can be accomplished by a dampener to be included after cleaning. This process ensures that the equipment further down the line is protected from tramp steel, dust, sand and stones which are all very abrasive as well as poisonous seeds, especially where oil is pressed for human consumption. Normally no warranty would apply to any machine downstream if a proper cleanng system is not installed. ABC Hansen offers cleaners from 2 -3 ton per hour capacity up to pre-cleaners of 240 tons per hour. Dehulling is optional in most cases while applying a dehuller would result in higher yields of oil and higher protein of oil cake as the fibrous hull absorbs oil when pressing and is not high in protein by itself. For some oil seeds, some hulls are essential as fibre to get the product firmly through the screw without turning into "butter". This is especially the case where oil content is high. Capacity 500 kg/hr - 1 ton per hour per machine. Conditioning may refer to, for instance heat in the form of extrusion, steam, a parcher, warm air etc. being applied to the seeds prior to expelling. It may, again be of crucial importance in some cases while only increasing yield by one or two points in other cases. 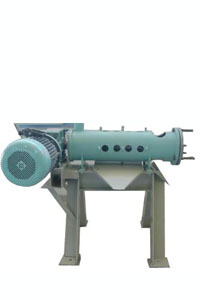 This may also relate to the extrusion of oil seeds, prior to pressing. 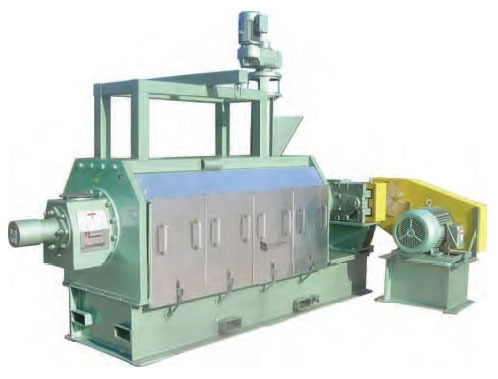 Extruders from InstaPro would generally be used in all ABC Hansen plants from capacities of 600kg per hour and higher. 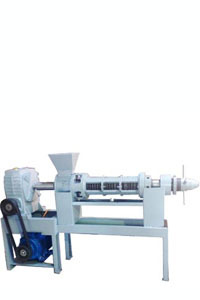 600 Series extruder with capacity 270 to 365 kg per hour. 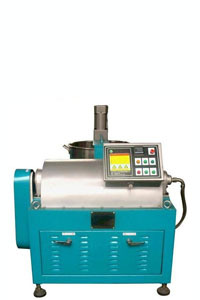 2000 Series extruder with capacity 1,000 to 1,200 kg per hour. 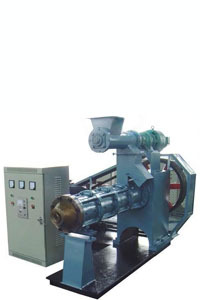 9000 Series extruder with capacity 2,700 to 3,600 kg per hour. 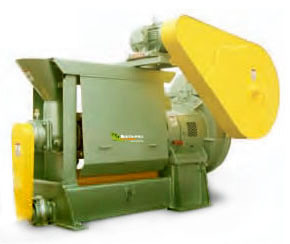 The SGC300 for a capacity of 300kg/hr based on sunflower seed intake. While still relatively low capacity, several presses may form a viable production unit for commercial seeds and may be very profitable when pressing specialty seeds. Model 1000 - 15kw for capacities of 350 - 450 kg per hour. Model 2000 - 30kW for capacities 700-900kg per hour. Model 5005 - 40kW for capacities 1,800 to 2000 kg per hour. It is not recommended that more than 4-5 presses be operational for a given capacity unless the maximum presses are used as the running cost and maintenance cost outweighs the advantage of a "back-up" press or using several lower cost presses instead of one or two larger presses. The pressed oil is now pumped to settling tanks and filtered while the oil cake is usually milled into a meal and bagged after it has cooled down and used, in most cases, as animal feed. Some vacuum filters ay be used to extract maximum oil from the sludge. Once filtered, the processor may require that the oil be de-waxed. That is simply removing the waxes that would turn the oil cloudy once the temperature drops to below 24 ° C or lower in some cases. This is done by cooling the oil down and filtering it again. This is where refining of cold pressed oil should end. All further refining reduces the value of the oil unless of course some harmful elements must be removed as in the case of cottonseed oil. It should be noted that large scale producers of oil are interested in selling commodities. Their plants chemically extract from 240 to 1,000 tons and more of seeds per day. These hungry monsters needs to be fed any seed that is economically viable to extract. 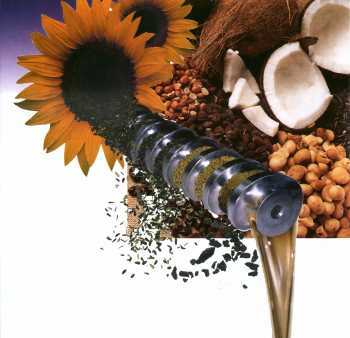 They therefore neutralize all oils, whether corn oil, cotton seed, sunflower or soy bean simply into fat in order to blend these oils on a continous basis without having a perceptible change in taste, smell or colour should one of the raw material ingredients change. Some oils, such as soy bean oil has a dark rusty colour and an unpleasant smell and has to be neutralized in order to blend. The refining process subjects the oil to very high temperatures that starts the oxidization process. The acid wash of oils not only removes the free fatty acids prevalent in decaying oil, but also the valuable amino acids. Neutralising: The oil is washed with a caustic soda mix through which the free fatty acids binds with the caustic soda and forms soap that is removed from the oil. Degumming: The oil is washed with water that binds with the gums in the oil and is then allowed to settle or is centrifuged. Deodorising: The oil is heated to around 200° C (260 is flashpoint) under vacuum and dry steam is introduced in the pressure vessel. The volatiles evaporating at this temperature is carried off under vacuum with the steam, rendering the oil tasteless and without smell. At the same time, any water remaining in the oil is evaporated so a "dry" oil results. Following these processes, a neutral fat is obtained that is again artificially coloured to the right "sunflower yellow" and preserved through addition of citric acid or other preservatives. Generally we would recommend that high value, low volume seeds be mechanically expelled. 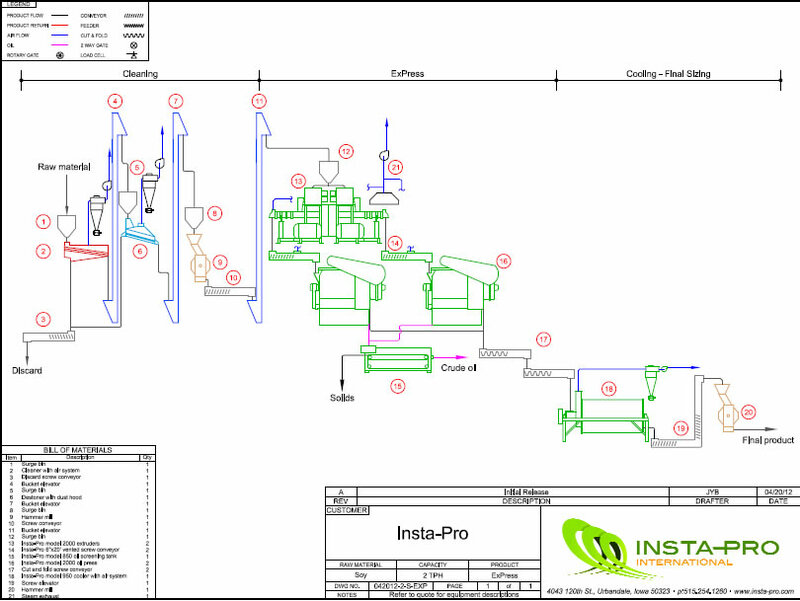 It is doubtful whether mechanical expelling is able to compete effectively with high volume chemical extraction plants while there is simply no way that those plants can compete with small scale mechanical expelling of high value seeds. The ABC Africa group is able to install plants for processing of soybeans in various ways. Extrusion: A mechanical screw pressing a large volume of product through a restricted opening thereby generating heat in excess of 150°C, sufficient to cook the bean. Steam: Tthe beans are either batch cooked or continuously cooked by means of steam in jacketed vessels. Parcher: For smaller applications, the beans are simply heated directly by means of a parcher with either electric, coal, wood, gas or any other inexpensive fuel. 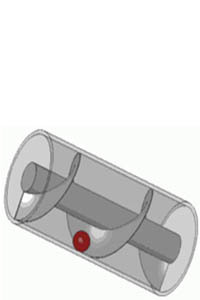 The system is crude and normally consist of a heated revolving tube where the beans are heated without being scorched. 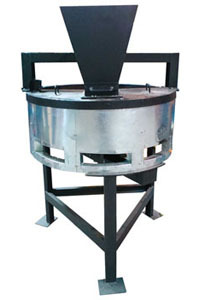 Diesel or oil fired rotary drum roasters are efficient and easy to operate. 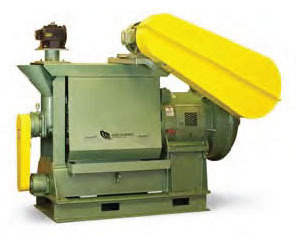 ABC Hansen offers 1 ton per hour rotary drum roaster. Micronising:While this would normally refer to the micro wave oven as we know it in our homes, in practice it usually takes the form of infra red heating over a conveyor - sometimes it just refers to heating elements. Following the heating of the bean, expelling may take place if a low fat soy bean oil cake is desired, otherwise, simply milling the heated bean (and in the case of extrusion, the mutilated bean is simply cooled) offers a full fat soy bean oilcake. Full fat soy bean oilcake has only one disadvantage. It has too much fat relative to protein. The trick for the farmer is to turn vegetable protein into animal protein or meat in the most efficient way. 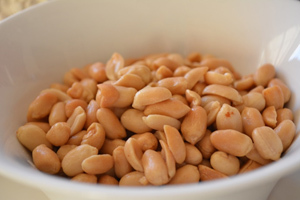 He would therefore like to lower the fat in the soy bean and increase the protein. Of course he can do it in one stroke - by expelling the fat. The soy bean has around 33-38% protein which makes it a great crop. 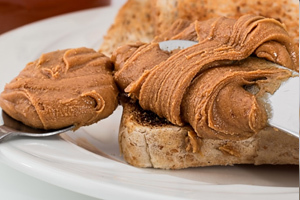 By reducing the fibre - around 15% (through dehulling) and reducing the fat - another 12% (through expelling), protein takes up a bigger percentage of the remaining volume. This can go as high as 46-8 % which increases the price of the remaining soy bean cake tremendously since farmers purchase fodder in accordance with the weight it would add to their animals, or protein. With some 18% fat in the soy bean, around 10-14% oil can be expelled mechanically. All 18% can be extracted chemically through a hexane process. (Hexane is a petrochemical cousin of benzine, the latter outlawed as a malignant chemical causing cancer while hexane is also targeted for discontinuation in extraction of oil in human food applications. (no alternative has probably been found yet). However, its efficient, if a very expensive way to extract oil on small scale and the cheapest way to extract oil on a large scale. And the reason is really because hexane is highly flameable, a heavy gas accumulating in corners and can't easily be detected. A small leak in the system would blow the plant sky high - and this happens all the time. (In the years I have had to do with this, I have knowledge of two plants in South Africa exploding and taking lives with it). On small scale therefore, parching is the least expensive way to go. Probably to around the 120kg per hour level. Following this, extrusion presents the most viable avenue to around the 600kg per hour level. This could yet again be doubled to around 1,200kg per hour with two extruders and four 300kg/hr presses. 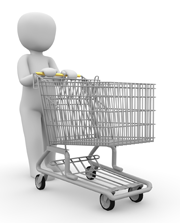 The capital cost is still acceptable and running cost and maintenance is not too high. This could be expanded upon by using high quality (and cost) American equipment to levels of around 1.6 tons per hour on a single line and two or three lines may be installed. 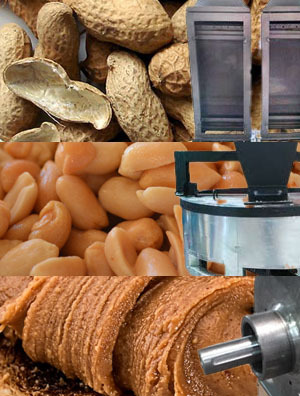 bear in mind that while extrusion is a fast way to cook soy beans, it is also a high energy user. Steam cooking is often used beyond this level. Its clean and may use the least expensive energy source such as any biomass to heat the boilers. Following the heating of the beans, expelling can take place. A safe estimate for oil retained in the cake after expelling is usually around 6 - 8 %. Claims are made for 2-4% by certain processors. While it may be possible it is not the norm, at least not with one pass through the press and if pressed more than once, the viability of the second pressing is normally suspect to say the least. Small scale oil expellers: Model SGC120 and SGC300. The SGC120 comes complete with 11kW motor. The SGC120 expeller is now available at a ridiculous price to enable you to start your own successful business. The SGC300 is in turn, a larger size expeller for small to medium scale enterprises and uses a 15 to 18.5kW drive which is included in the price. *All values used for oil and protein content are expressed in average ranges. Actual content varies due to variental differences and growing conditions. Operator management also influences the quality of the end product. Results when coupling press with Inst-Pro Extruder. Versatile equipment with numerous applications. 7.2 to 1 cage diameter ratio. Phosphorus, ppm *300.00 200 max. Flash Point, °F 300.00 250 min. Moister and Volatile Matter, % 0.15 0.50 max. All values are typical analytical results and not garunteed levels. 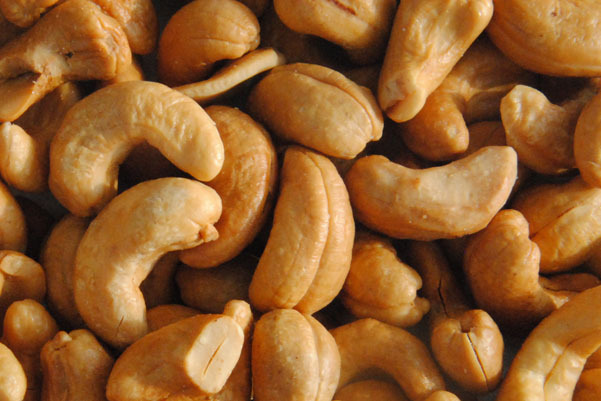 May be used as the major source of protein for all specie. Monogastics: Inclusion from 15% to 40% of the complete diet. Ruminants: Inclusion up to 25% of the grain mix. All values are typical analytical results and not guaranteed levels.